In its Q4 2016 report, the firm said 31,500 new apartments and 12,500 new villas and townhouses were scheduled for delivery this year in areas including City Walk by Meraas, Damac’s Akoya, Dubai Wharf by Dubai Properties and Emaar’s Mira. These will add to the 8,750 apartments and 5,000 villas completed in Dubai last year. “Tenants will be offered a significant choice of completed properties in 2017 in both established and new communities,” said John Stevens, managing director, Asteco. However, he cautioned that there could be a significant disparity between units scheduled for delivery and handed over, which may result in some rental growth in popular communities. In its report, Asteco said apartment rents declined 5 per cent quarter-on-quarter and 6 per cent year-on-year in Q4 with rental rates declining in some areas while others saw marginal increases. Most areas saw rental rates for one-bedroom units decrease between Dhs5,000 to Dhs15,000, according to the firm, with prices at Jumeirah Beach Residence hitting Dhs105,000, Business Bay Dhs75,000 and International City Dhs45,000 n average. One-bedroom rents in Jumeirah Lake towers were down Dhs15,000 to Dhs75,000. 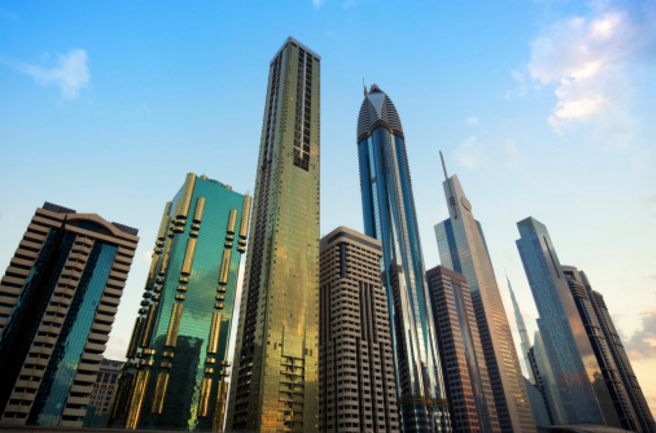 Rates in Downtown Dubai (Dhs115,000), The Greens (Dhs95,000) and Al Barsha (Dhs75,000) remained stable. Average villa rents during the year were down 3 per cent quarter-on-quarter and 5 per cent year-on-year with double-digit declines in Al Barsha and The Meadows. Rents in Jumeirah (Dhs190,000), Jumeirah Village (Dhs160,000) and The Springs (Dhs180,000) remained unchanged. “Landlords, especially corporates, offered incentives such as increasing the number of cheques accepted and longer rent-free periods to entice take-up, especially in newly handed over communities that still lack supporting infrastructure, retail and leisure facilities,” said Stevens. In comparison apartment sales rates remained relatively unchanged in the quarter and over the year, the firm said, indicating the market had bottomed out. Villa sales were flat during the quarter and down 2 per cent over the year. “The sales market will be increasingly driven by long-term investors and owner-occupiers and the rise in first time buyers will continue throughout 2017 as people take a long-term view to living in Dubai,” he added.